A protective formula that seals, preserves and finishes teak and other fine wood and contains ultraviolet absorbers to resist weathering. Star brite Premium Teak Oil is a protective formula that seals, preserves and finishes teak and other fine wood and contains ultraviolet absorbers to resist weathering. Star brite Premium Teak Oil is ideal to use for the third step in the restoration of grey or weathered teak surfaces. 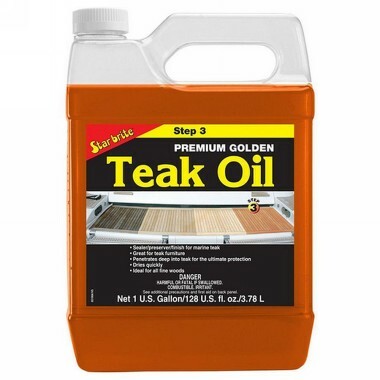 It is a specially designed, easy to use, fast drying oil which helps to give teak a natural warm golden colour. 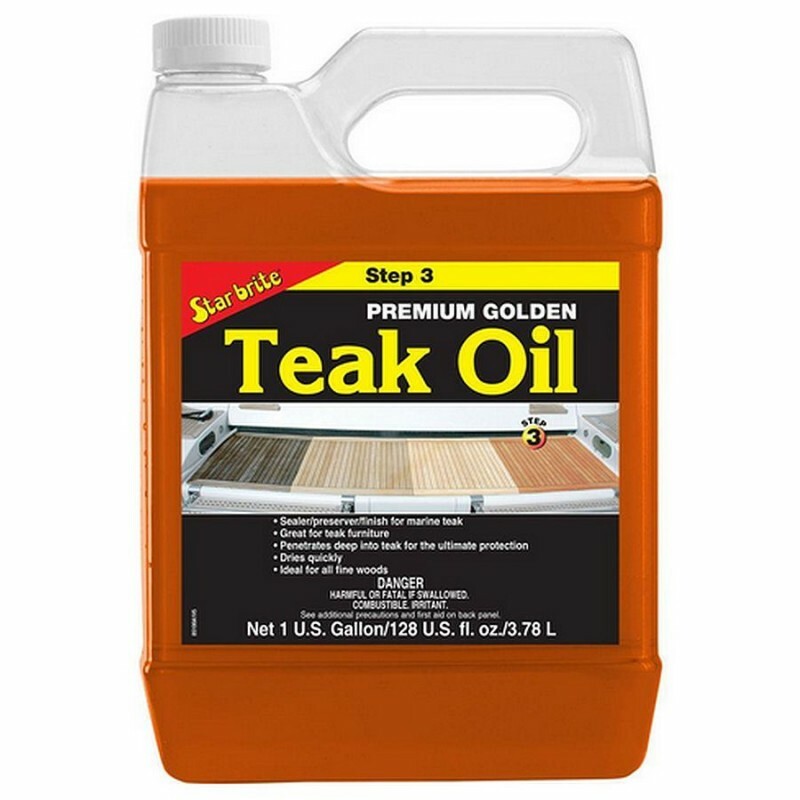 The extra long lasting teak oil protects wood from weathering and has built-in ultraviolet absorbers which helps to increase the longevity of the oil.